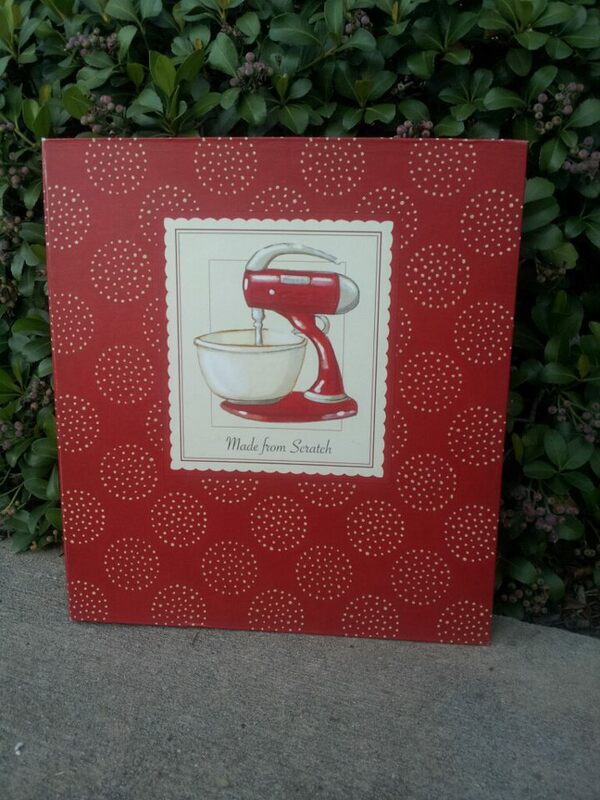 So, a fact about me: I love small touches-in, or on a house, especially things that are homemade. Wreathes, Frames, re-finished furniture, paintings, lamps, pottery, etc. While some people love the very classic, modern, and put together look, I can’t help but yearn for those personal touches. Making something with your kids, as a gift, or even for yourself will become a sentimental item. I’m happier when I’m surrounded by the things that I, or others have created. Here are just a few ideas of some smaller decorative items that you can make to use around your home or make as a gift. After seeing these at a crafts and artist’s exhibition a couple of years ago, my mom made one for me and I still love it! Mine is Mardi Gras themed but it is so easy to make one that fits your personality or matches a room in your home. Use a washed, opaque glass bottle, it can be clear or even a color like green or blue. If the bottle is too dark, the lights will not shine through as well. Put the lights in the bottle. I like to get a string of 100 lights at Hobby Lobby; they are usually only a couple of dollars. Make sure you leave out enough of the strand out of the top of the bottle so that it can reach the plug you are going to use without pulling the bottle. Apply the cork back into the bottle. If you’d like, you can use a little bit of super glue to make sure it doesn’t slip out, however, because the strand is also in there, the cork should be snug. Decorate the outside of the bottle with ribbons, ornaments, glitter, anything! 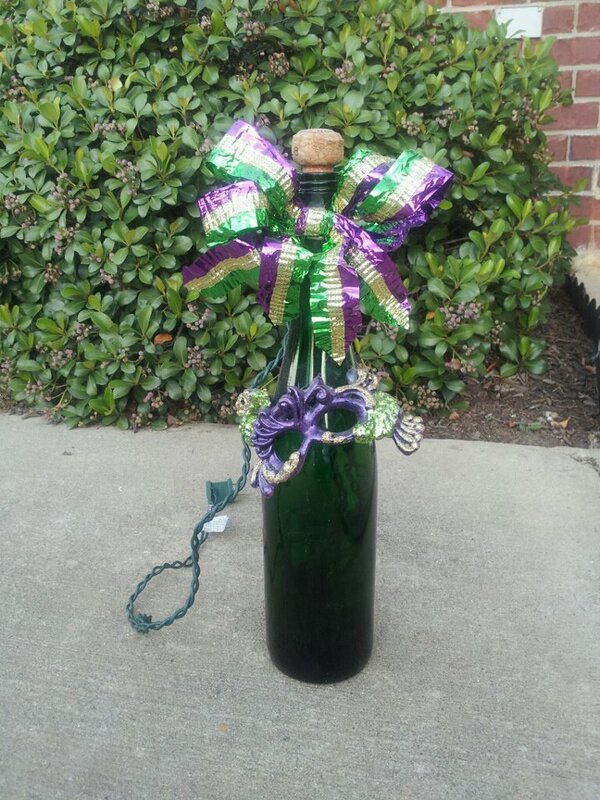 The Mardi Gras mask on this one is actually a Christmas tree ornament strung over the top of the bottle. These make great night-lights for kids, or even for a kitchen. They provide the perfect warm glow to the room. 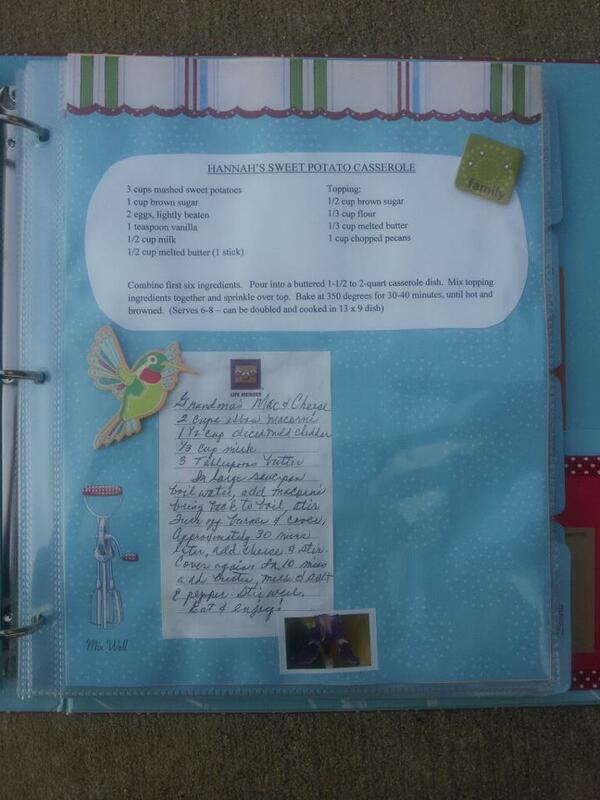 Include family recipes, hand-written and typed, as well as pictures, and scrap-booking pieces. My family made one for me a few years ago, and it is incredibly sentimental to me. It’s also much more unique because of all of the decorative additions. As you get older, you can add dishes that your family makes on holidays. You can also add pictures of someone eating the dish the first time it was made, or a picture of the chef with their dish. 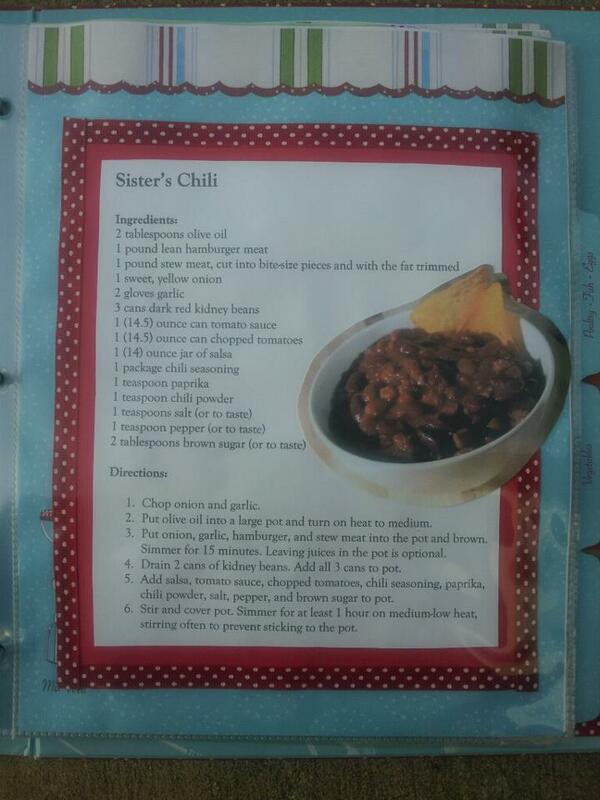 This turns your average cookbook in to a scrapbook, making it not only interesting to people who like to cook but also to people who like looking through a creative set of family photos. Get multiple family members to add recipes to the book. Or add recipes for dishes that that person loves. My book was purchased but the inside is full of family-decorated sheets. It has drink, meal, and dessert recipes. Okay, when I first saw this online I fell in love. In fact, I think my exact words were, “Awww.” Granted, it’s a little bit more “glam” but I think it would be great for an outdoor patio or back porch, or even as a decoration for a party. Once again, it’s so easy to make! Find a wire basket with a flat bottom that you will be able to hang. You can most likely find a basket like this at a thrift store, or even Lowe’s or WalMart. 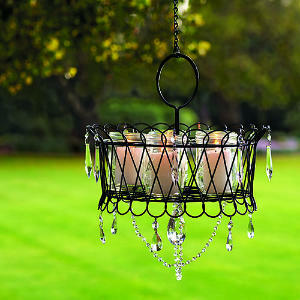 Look for the kind that is used to hold outdoor potted plants. Attach your crystals to the top and bottom of the basket, including some strands. Hang your chandelier using a chain. Put your medium sized candles into glass mason jars and onto your chandelier and voila! Your chandelier is finished. If you’ve done any of these decorative projects, we’d love to see! Send in your photos to nclac5@gmail.com or hgreer20@yahoo.com.